There are few things better in life than warm, freshly baked hot cross buns, slathered with butter - amirite? 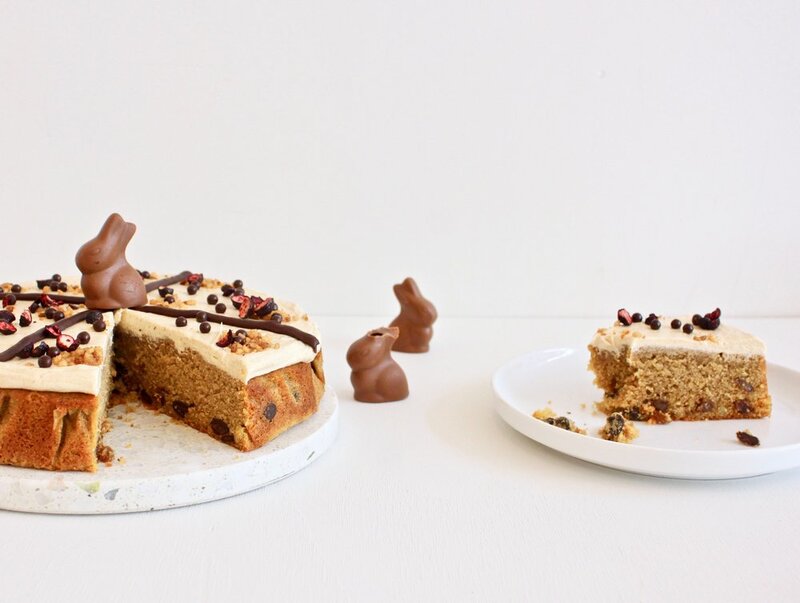 Sure, but if that's a 10/10, this Hot Cross Bun Cake is 100/10. It's more desirable than its bready counterpart in several ways - the buttery, moist almond-based cake is spiced with nutmeg and cinnamon, pebbled with candied orange, dark chocolate and sweet sultanas. You'll be shoving the buns aside after a taste of this cake. It's topped with a cinnamon-laced cream cheese icing and decorated with a ganache cross, hazelnut praline crunch, Valrhona chocolate pearls and freeze-dried blackcurrant slices.